TALLAHASSEE, Fla. — Turtles served as more than tasty treats for many Native American tribes throughout North America. In fact, turtle shells were used as rattles and other musical instruments, said FSU Associate Professor of Anthropology Tanya Peres. "Music is an important part of many cultures in ways we may not realize," Peres said. "Musical instruments have a deep ancient history in human society and are encoded with meanings beyond their sound making capabilities." Peres and lead author Andrew Gillreath-Brown, a doctoral candidate from Washington State University, published their research in the academic journal PLOS One. The researchers examined the use of turtle shells as percussion instruments in the southeastern United States. They identified and analyzed several partial Eastern box turtle shells from middle Tennessee archaeological sites that they believe were used as rattles. In the past, turtle shells found at archaeological sites were often dismissed as food remains. 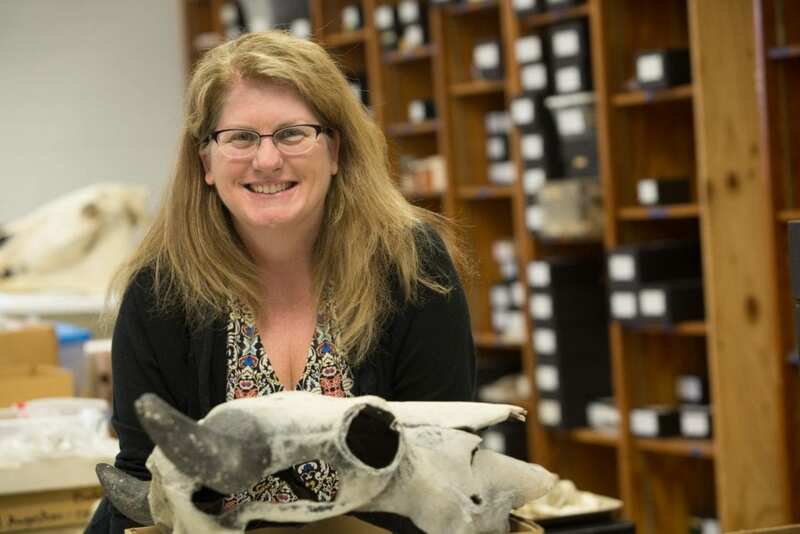 "It is important to explore and understand what other ways — besides food — prehistoric animal remains may have been used in the past," Gillreath-Brown said. "Turtle shell rattles provide deep insights into human-environment and -animal relationships." Turtles play an important role in many indigenous populations but have not been explored in great detail by researchers. Many indigenous groups believe that the world was formed upon a turtle's back. "This symbology and belief is imbued into the turtle shell rattles, which are meant to keep rhythm and thereby interjects powerful symbology and spiritual energy into dances and ceremonies," he said. This research opens the door to re-examine some curated turtle remains from archaeological digs that may have been dismissed as food scraps. The researchers noted that turtle shell rattles have been found throughout North America, ranging from Florida to the Northeast and into Canada. The meaning and importance of these rattles likely differs depending on the region, they said. But, their presence in all these areas demonstrates that turtle shells were important to keeping rhythm in ceremonies across prehistoric North America. For Peres, the research shows there are still many questions for researchers to investigate regarding the role of turtles in indigenous populations. "We need to continue to bring together multiple lines of evidence and viewpoints so we can attempt a more nuanced understanding of past human-animal relationships," she said.